Clink the link below to their latest post – a collection of legitimate coaching cutups (not the stuff you see on Fox) containing the first quarter of the 2010 BCS National Championship, featuring Cam Newton running Gus Malzahn’s power spread offense, Chip Kelly and the lightning attack spread of Oregon; Nick Fairley, Casey Mathews, and some defense too. You will definitely see a lot of down blocking and pulling by the Auburn and Stanford offenses. Among many perceived differences between these two offenses, you will also find similarities in the execution of the power play as a base run. Auburn works from a predominate shotgun set while Stanford prefers more traditional under center sets. Auburn will employ multiple variations using the quarterback both as a misdirection key and a ball carrier. Stanford likes to shift run strengths to gain a formational advantage, often using a double shift or shift/motion pre-snap movement variance. The end-zone clips are great for studying the run game (more on passing game to come). All the teams featured run some aspect of zone, with Oregon heavy in outside zone/read action; Stanford runs some of their zone packages out of shotgun with a read element as well with Andrew Luck (as does TCU and Dalton); Wisconsin likes to run lead and outside zone with multiple tight-end and fullback sets; both Auburn and TCU will run some fly sweep, quarterback zone reads; Auburn will also run veer with heavy backfield misdirection more than Oregon because of the inside running threat of Cam Newton. 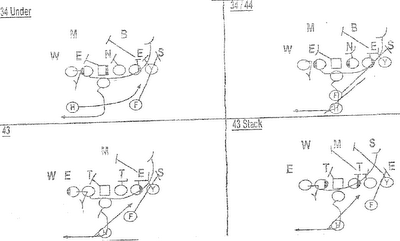 Oregon’s efforts to diversify an admittedly simple scheme were focused on two back sets early – using orbit motion with a third skill player – attempting to create confusion and hesitation with fast split flow action, elements of deception and surprise. 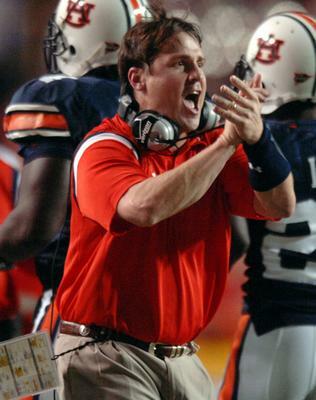 Will Muschamp and the Auburn defense added fuel to the fire on an old football cliche: offense scores points but defense wins championships. 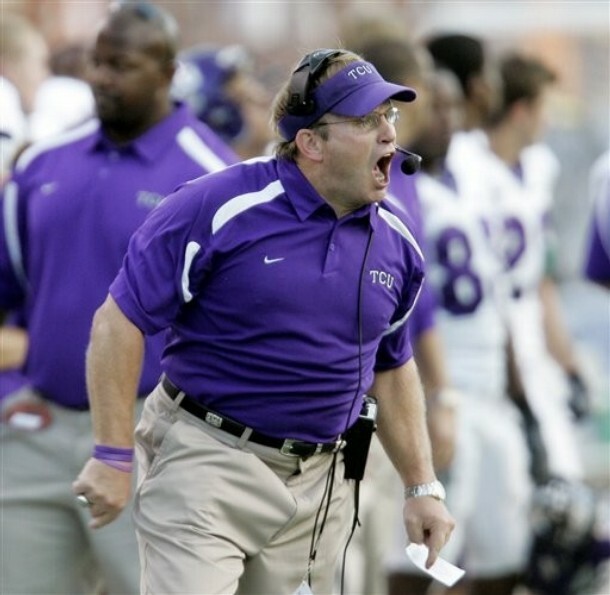 TCU is head coached by 4-2-5 technician, Gary Patterson, and capitalizes on fast, athletic, and aggressive play. 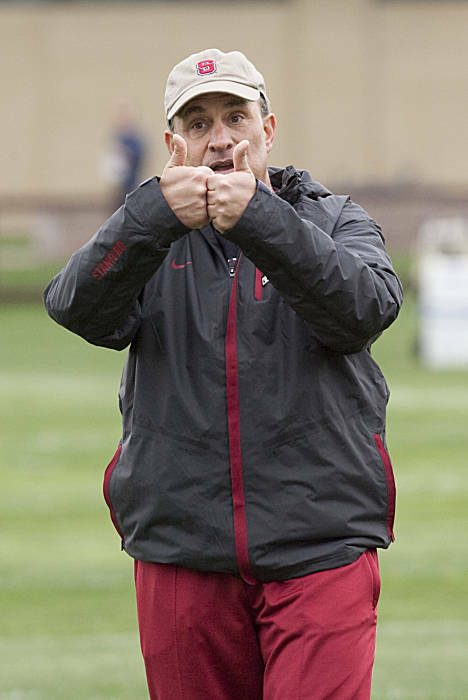 New 49ers defensive coordinator, Vic Fangio, while anchoring the same position at Stanford, utilized a heavy four down set and emphasized keeping leverage on the ball and keeping Oregon skill players in front of them. Enjoy the film and the site!